3. I never have kicking speed at the end and come across the line looking like I am about to DIE, T-Rex arms in full force. This was my A race I felt GREAT and ready to PR. Trouble was I did not realize that the course was part dirt/gravel/grass and I wore the wrong shoes. I also set out way too fast and faded. It was a rainy day but I felt great, was chasing down the leader but did not have the speed. This was my debut as a "fast" runner, very small race to raise money for the high school cross-country team. I felt great, some hills and weird terrain messed with me, it was weird to be in Second place the whole race. First race as an adult. Baby #2 was 5 months old, I struggled to keep running. My co-worker stayed with me and helped me get through the tough parts. My goal was sub 30 minutes. 1. Warm-up Run- Thanks Marlene HERE for this tip. 2. Do not go out too fast! Run by feel. 3. Based on my current fitness level I think I can hold 7:15ish pace for a 22:31 Finish. Thanks to Cool Running pace calculator HERE I use this tool often!! 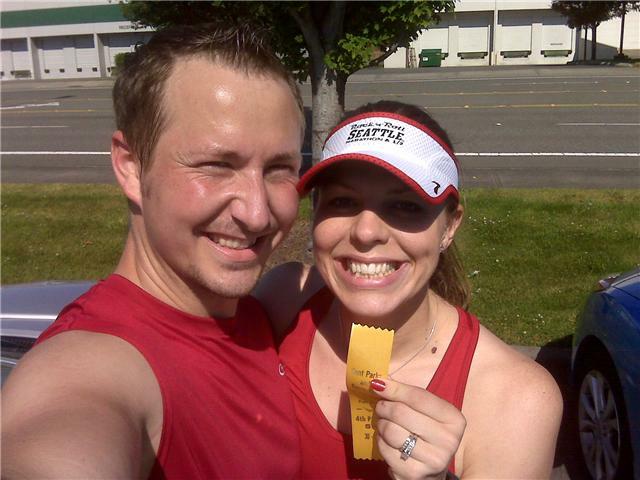 Tell me about your BEST 5K Race. What did you do during the race that really helped you Finish Strong? I will be Racing in my Brooks Green Silence- Want a pair of Brooks? Enter to Win HERE. 5k is my dreaded race mainly bc I ran in high school and its a continued disappointment on how I'm not that fast anymore. My best 5k was last winter, my local holiday race and I invited a friends daughter to run with me. 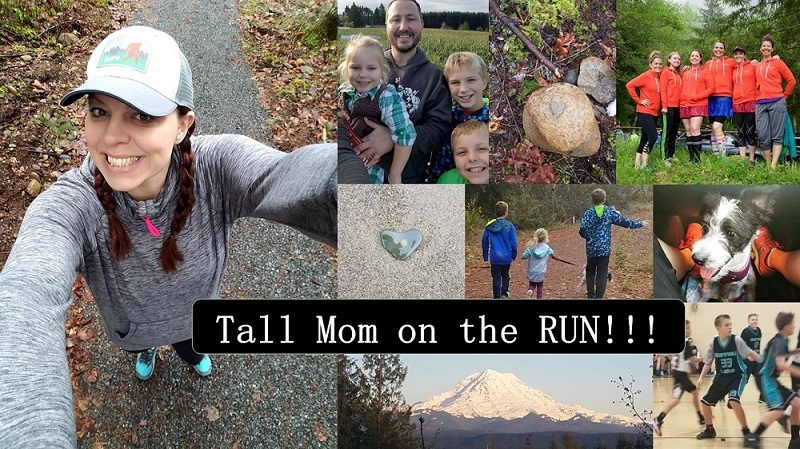 She recently had to quit Xcountry because of grades, but she loved to run. I paced her the entire run and then she left me in the dust at the end :) We supported each other and she helped me finish strong at the end. It was so great to see her excitement and pride. Love to look back on previous races! Sounds like you are all set. I smell a PR! T-Rex arms! You are hilarious! You always look great crossing the finish and were my inspiration for actually smiling and waving at the camera along the course so I don't look so dreadful. I rarely do 5ks because they are always so crowded. But I know you will rock it! Good luck Mel! My fav 5k has a decline of about 150 yards at the finish..... Crash and burn, that's my strategy! I ALWAYS go out way too fast! My best was when I went out at a pace I thought was way too fast and just kept pushing it. Last night not so much. Went out too fast and DIED!! Good luck to you!! 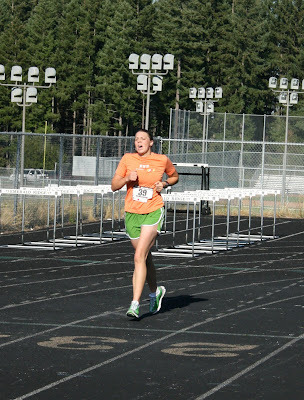 My best 5K was my PR race. I knew I was going faster than I usually do, but I was trying to chase down the woman ahead of me. I finished second place overall female. I've only done one 5k and it was my first official race EVER! I did it last year after I'd been running for about 3 months. My time was 33 minutes. Bleh! The great thing is that I'm doing the See Jane Run 5k and I know I'll PR because I'm so much more fit now! Fun to look back at old races. I never run 5k's because I'm just not FAST! I feel like I need a few miles of warmup before I even settle into my pace. But you are going to do great tomorrow! I have come to love 5k's! Somehow, I'm not sure, something clicked with my stride/ pace. Since then I have PR'd my 5k time 4 times this spring alone. My best was in Green Silence on a cross country course. I was hoping to wear my MT101's, but hadn't worn them since a trail half the previous weekend and when I put them on I noticed that both of my big toes had torn through the sides. SO, I started out disappointed. Then I kept thinking about someone who knows the course who said that it is a tough course. I did get myself mentally over it (what else could I do) and busted out a 19:16 good for 12 or 13 overall and 2nd in my age group!